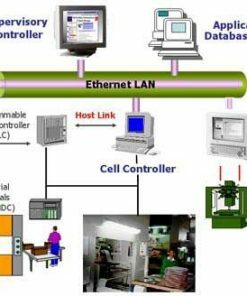 Also known as manufacturing execution systems, MES are recognized as computerized systems that are used to document and track the transformation of raw materials to finished goods. Aside from using MES for manufacturing applications, you can use it for quality operations, inventory operations, and production operations. At Willrich Precision, our MES features more than 24 modules across all areas of manufacturing operations. What’s more, we will train you how to configure the system so that you will be able to manage it and adapt it as your business grows and scales. What about reporting and analytics features? Our MES systems has got you covered as well. It comes equipped with hundreds of standard reports! Willrich Precision Instrument with top brands from the gaging, inspection and metrology industry since the 1970s. As a market leader in measurement instrumentation, you will be able to find stellar MES products in our well-stocked online shopping platform. We want only the best for our clients and we utilize a customer-first approach to serve you better. You can rest assured that your online shopping experience with us will be a breeze. For more information on our MES systems, feel free to email us at sales@willrich.com or call us at 866-945-5742 today. We are always ready to provide all the customer service support you need for your product purchases.